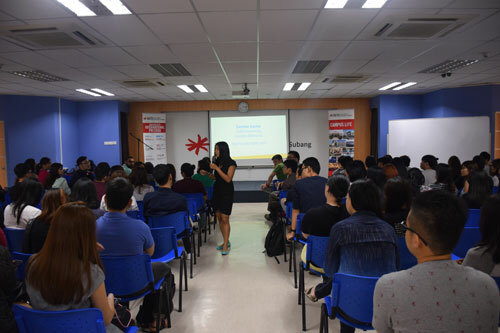 Over 1,500 students across INTI’s six campuses were given the great opportunity to participate in Google Ignite, an exclusive training programme for university students to learn and experience digital marketing and kick-start their career. INTI’s collaboration with Google, which kick-started since September 2015 marked the beginning of an exciting initiative which provides students the opportunity to be certified as Google Adwords experts. For the second year running, INTI has the highest number of students participating in the programme with over 150 students currently certified as Google Adwords experts. “We are extremely proud to collaborate with Google Malaysia in running this programme, which not only provides our students with practical and relevant skills that are sought after by employers but also allows them to stand out from the crowd as they are among the first to gain this valuable certification,” said Rohit Sharma, Chief Executive Officer of INTI International University & Colleges. “In recent years there has been a massive change in how consumers engage and consume information, especially in the digital space. Therefore, more and more employers are looking for graduates with the relevant marketing and advertising skills to capitalise from this shift in consumer behaviour. This certification is extremely timely and will add another highly valuable skill in our students’ resume, to jump-start their digital marketing careers,” Sharma added. “We are very happy about INTI’s collaboration with us for Google Ignite. We have always expressed our joy in working with the team and their energy has always been something that makes us very excited to run the programme and make it work for the students as best as it could,” shared Denise Gamo, SMB Marketing Manager of Google Malaysia. The Google Ignite programme is offered at INTI campuses in Nilai, Subang, Kuala Lumpur, Penang and Kota Kinabalu, and consists of three modules that include the basic fundamentals of digital marketing to more advanced courses, such as search and digital display advertising. Students who have completed the course and received the certification have been invited to attend an exclusive career fair, hosted by Google where they are given the opportunity to apply for internship programmes with top employers. One such example of a student who has greatly benefited from the programme is Ai Wer Cher, a Finance and Marketing student from INTI International College Subang who successfully secured an internship placement at Maxis Malaysia. Google Ignite is one of the many programmes made available to INTI students in developing their soft skills. 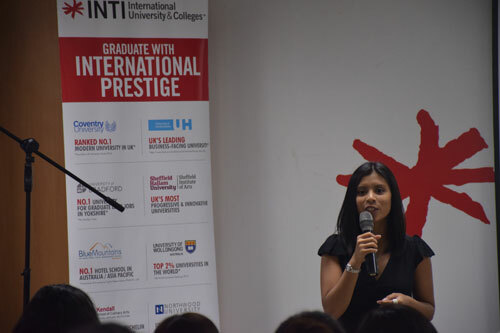 Through its close ties with over 400 employer partners, INTI provides various platforms for students to gain industry relevant skills and experiences. Students also have the opportunity to work with industry partners on projects that may have actual and immediate impact on participating companies, which enable students to develop and enhance 21st century skills which are creativity, communication, critical thinking and collaboration. Working with industry and learning through innovative means have resulted in 78% of INTI graduates earning a higher salary than the market average and 98% securing employment within six months of graduation.